pharmacological intervention to help improve their attentional regulation, impulse control, emotional regulation and/or behavioral self control. Parents should be honest with their pediatrician about medication as well as ask several questions about ensuring the best care. What are the side effects of the medication? All medications have side effects and it is important to be aware of what to possibly look out for. How long should the child be on medication? It is important to ascertain if the medication is likely a temporarily solution or long-term. What therapies would be beneficial for the child to participate in while taking medication? It is often that medication alone is not sufficient. Children will often benefit from specific therapies and interventions to help teach emotional and behavioral regulation. Who should I tell? My advice about medication is to always inform the academic staff as to when a child starts medication. Many times, the teacher would be able to have a greater watch over the child and monitor whether or not there are experiencing any negative side effects. Medication is often warranted in a child’s treatment regime. It is always important for parents to ask good questions and work with a treatment team in order to ensure the best success of their child’s social and emotional development. 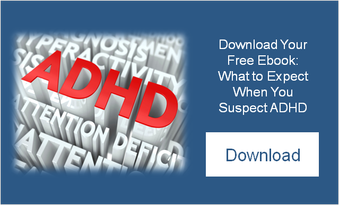 Attention Deficit Hyperactivity Disorder (ADHD) is one of the most common neurodevelopmental conditions. The United States Center for Disease Control has recently indicated that approximately ten percent of the school age population has been diagnosed with ADHD (CDC, 2010). The National Institute of Mental Health (NIMH) conducted the largest on-going research studies (MTA: Multimodal Treatment of Attention Deficit Hyperactivity Study) examining the efficacy of various treatment modalities for ADHD. This study consisted of over six hundred children who were diagnosed with ADHD. What the study found was that combination behavioral treatment and medication management were significantly superior to behavioral treatment alone in reducing symptoms of ADHD (Dec 1999, Archives of General Psychiatry). The results also highlighted that these improvements in functioning (with combination behavioral and medication therapy) lasted for upwards of 14 months. A final important finding from the study indicated that combination treatment (behavioral therapy and medication) was superior in treating other areas of daily functioning such as anxiety/depression, academic achievement, social skills, and family interactions in comparison to medication or behavior therapy alone. As the above study indicates, pharmacological intervention is oftentimes the first treatment of choice for a child with a diagnosis of ADHD. However, medication alone is not the only solution as was evident in the study. Behavior therapy, which focuses on teaching children appropriate self regulation skills by modifying the environment so that appropriate on-task behaviors are reinforced while negative, off-task behaviors are extinguished, is a vital component of a treatment plan. Many times parents do not want to go with medication as a primary treatment and would rather try behavioral therapy or working with a social worker to help develop socialization skills. Many children with ADHD exhibit issues with their daily social functioning. It is important to realize that these social deficits are not because of a lack of inherent social skills but because of the impact that issues with attention to the social world and impulsivity have on their daily social interactions. The focus of the intervention then needs to be on how to change the child’s daily environment so that he or she is set up for success. Many times this will include modifications in the classroom setting to help improve on-task behaviors and self regulation. Another intervention that is often needed for a child with a diagnosis of ADHD is parent and teacher education. It is important to work with parents and teachers so that they can have a better grasp as to why they are observing particular behaviors. In summary, the empirical research has indicated that a combination of pharmacological intervention and behavioral treatment is the number one intervention for a child with a diagnosis of ADHD. However, there are other options that are less invasive such as behavioral therapy in isolation, parent/teacher education, and/or social work support to help improve daily social interactions.